Hello! 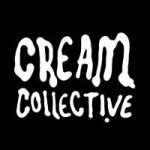 We are Cream Collective and we would love to promote your products in our YouTube hauls and Instagram posts. We post music videos, extreme sports content and fashion content related to our record label. Thank you so much for taking the time to read this and I hope you'll have an awesome week ahead! Demographic data for @creamcollective's audience is available for free to influence.co users.